Today’s recipe is the easiest version of homemade cheese pie! It takes less time to make it and just 18 minutes in the oven. 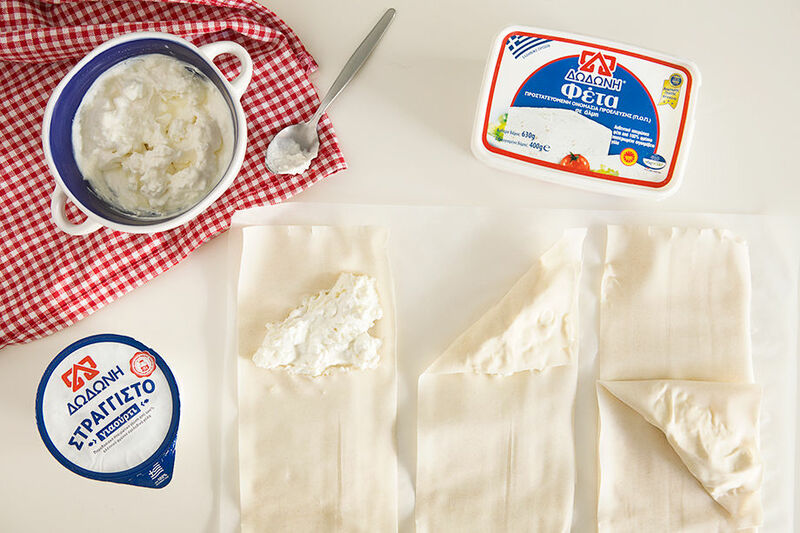 The feta – yoghurt mix is one of the “convenient” fillings for each type of pie or tart and works like a white canvas that will enrich you with your favorite flavors. 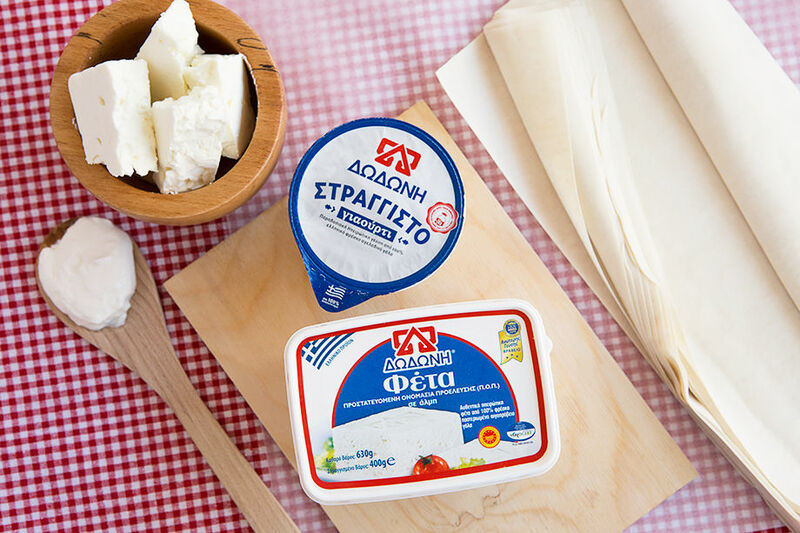 Crush the DODONI feta cheese in a bowl and add DODONI authentic Greek yoghurt. Stir until you have a homogeneous mixture. Cover a pan with baking paper. Open the first sheet and divide it into 3 strips. Cut it into 3 vertical strips. Divide each strip into 4 triangles. Then put 1 large tablespoon as in the picture and wrap in triangles. Transfer to a baking pan covered with baking paper. Bake at 180 ° C for 18 minutes or until it gets a nice golden color.